Jim Ecker, a native of Yonkers, N.Y., graduated from the University of Michigan in 1974 with a degree in journalism. 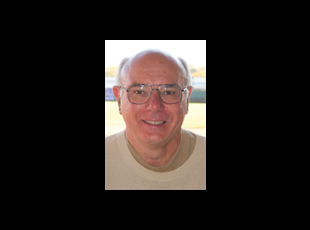 He spent 27 years as a sportswriter at The Gazette and was recently the information director at Perfect Game USA. He was named Iowa Sportswriter of the Year in 1995. Scott Heitland earned his bachelor's degree in accounting and from Simpson College and has more than 20 years experience in all facets of the business world. He also owns a business recruiting company, specializing in engineering,banking and accounting. Kenyon Murray is a native of Battle Creek, Mich., and was a four-year starter on the basketball team at the University of Iowa from 1992-96. He received his degree in English Literature from Iowa in 1997 and has extensive experience in advertising in the Cedar Rapids and Iowa City areas. Mike Condon is a Davenport native, graduating from the University of Iowa in 1984 with a BA in Journalism and Mass Communications. He worked for over 25 years as a desk editor and writer for the Council Bluffs Daily Nonpareil and The Gazette. Jon Klinkowitz is a Cedar Falls native who studied History and Journalism andMass Communication at the University of Iowa. He worked for more than 25 years as a sportswriter and copy editor at the Iowa City Press-Citizen. Cindy Petersen works in various areas of the media. Besides working for MSR, she writes for the Marion Times and Hiawatha Today. She also helps small businesses get online by creating affordable websites and social media pages through her company, MarkIt CR. Tom Fruehling, a native of Burlington, Iowa, graduated from the University of Illinois and served as an artillery officer in the Vietnam War. He spent 31 years as a reporter at The Gazette and won numerous awards for feature writing. Carl Gonder was a star basketball player at Washington High School and Augustana (S.D.) College and is a member of the Washington, Augustana and Iowa High School Basketball Halls of Fame. He played pro basketball for 10 years and is currently Area Director for Eastern Iowa Fellowship of Christian Athletes. Originally from Waterloo, Margaret O'Banion graduated from UNI with a degree in elementary education. She counseled students at Grant Wood School for 34 years and is a volunteer photographer for the Koehler History Center and teaches photography as well. In addition to her volunteer work, she enjoys good friends and great books. Ken Gilchrist grew up in Center Point and has degrees from Kirkwood and Coe College. Ken served as an equipment operator in a naval construction battalion from 1968-72. A retiree from Rockwell Collins, Ken enjoys the great outdoors by camping, fishing, and an occasional game of disc golf - and he has a mighty impressive fountain pen collection to boot. S.D. Buhr lives in Cedar Rapids. 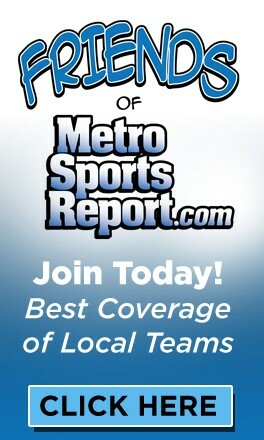 He has written about the Minnesota Twins and their minor league affiliates since 2010 for Knuckleballsblog.com. He is the co-founder of Knuckleballsblog.com, which is must reading for Twins fans. Buhr is a Coe College graduate and worked as a sportswriter and photographer for his hometown newspaper, the Webster City Daily Freeman-Journal, for about two years. Joe Bishop grew up in Keosauqua and graduated from Van Buren High School. He received a degree in photography from Hawkeye Community College in 1993 and has worked for the Fairfield Ledger, Ottumwa Courier, and The Daily Chronicle. He was twice named AP Sports Photographer of the Year in Ilinois. Randy Krejci is a lifelong educator and sports official. He worked numerous state tournaments in a variety of sports. His last teaching assignment in the Cedar Rapids School District before retirement was as principal at Harding Middle School. He is currently the commissioner of the Mississippi Valley Conference. Mark Dukes graduated from Jefferson High School in 1974 and received a Liberal Arts degree from Coe College in 1978. He worked at The Gazette for 25 years, including 14 years as Sports Editor. 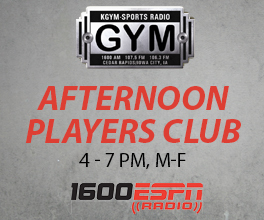 He currently is co-host of The Gym Glass on KGYM radio in Cedar Rapids.